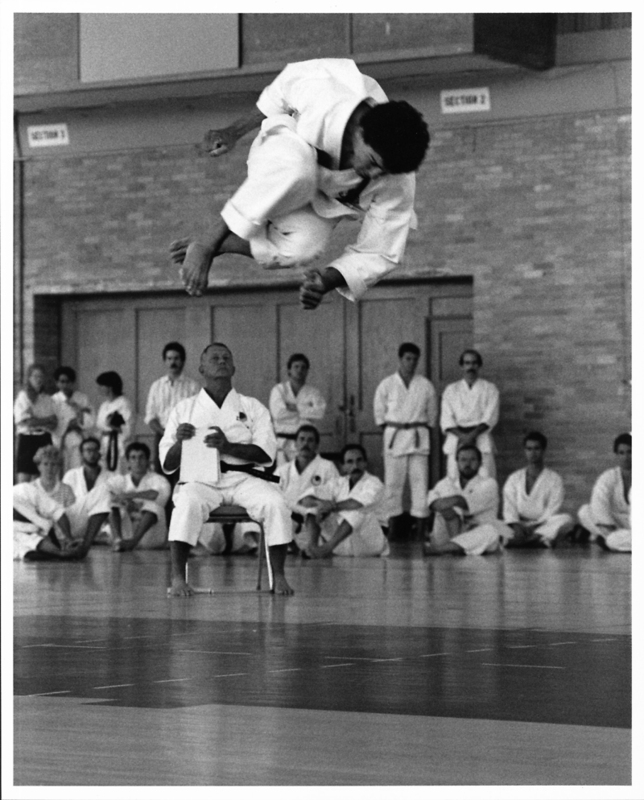 Kata finals at Mountain States Summer Camp c.1989. Corner judge is the late Everett King from Phoenix, AZ. Pictured in the background directly to Mr. King’s left: seated, David Bartsch, the late Tony Fiore. Standing behind Mr. Fiore and to his left, Steve Malecha and Jeff Petersell.